Everyone agrees Oliver Street is the next area of North Tonawanda that needs the sustained attention of the city and all the communities here. 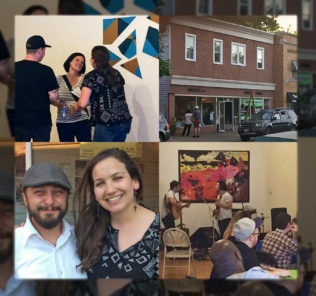 Join the Oliver Street Merchants Assoc. 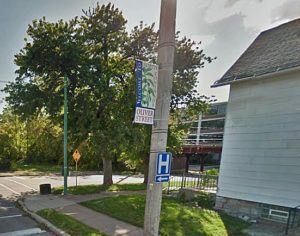 and Project Pride at 10 a.m. Saturday at the corner of Tremont St. and Oliver as they beautify the area that once was a vibrant blend of businesses and residences. 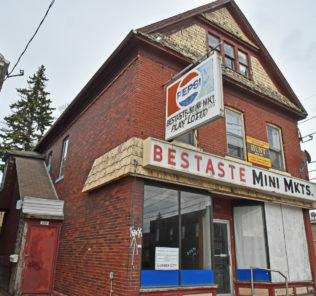 With renewed attention placed upon this vitally important area of NT from business owners, residents and the city administration, this clean-up is just one aspect of the street’s imminent renaissance. Organizers are asking volunteers to bring any supplies they can: garbage bags, rakes, gloves, shovels, buckets, wheelbarrows, and anything else that might help the clean-up process. 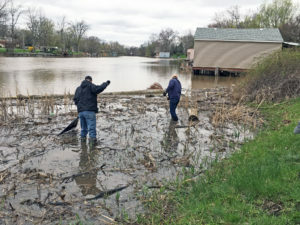 Saturday’s weather — high of 58 degrees; cloudy but dry — looks to be a little better than the weather for last week’s Earth Day/Canal Clean Sweep events along the Erie Canal in NT. 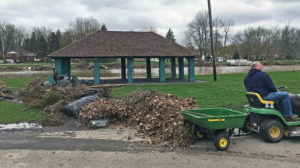 Last Saturday’s clean-up events were conducted in three locations: Mayor’s Park, the intersection of Sweeney St. and Service Dr., as well as the kayak docks located on Niagara St. The three locations highlight the growing significance of the cleanup efforts on the Canal and the Canalway Trail System. The continual effort to clear such waterways is necessary and enhances public access and helps maintain the natural beauty for everybody to enjoy. 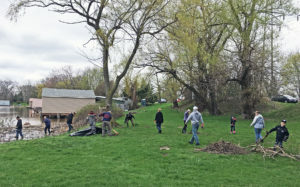 Around 80 people volunteered their time picking up brush, branches and a surprisingly small amount of garbage at this year’s event which was the city’s tenth. Perhaps some of those volunteers will redouble their efforts — I am — and join the groups interested in revitalizing North Tonawanda’s next up-and-coming area, rolling up their sleeves to make a difference. The Mayor’s Park Clean Sweep crew cleaning up the shoreline last Saturday. Glad I brought my boots, too. Next year I’m coming with the hip waders and a headband. All the flotsam, jetsam and other debris pulled from the canal and surrounding park.